Celebrate crossing latitude 66° 33’ South in the wake of hallowed explorers including the first to do so, Captain James Cook, on this unique 11-day Antarctic cruise. In this frozen area of extraordinary beauty, powerful orcas and leopard seals patrol the waters, while ethereal snow petrels grace the skies against a background of bristling mountains and surreal icebergs. Sail through an intricate system of icy waterways and reach the glorious Crystal Sound at the mouth of The Gullet. Step aboard the Polar Pioneer in Ushuaia and settle in to your comfortable cabin. There is time to greet fellow passengers and explore the ship before an evening cruise down the Beagle Channel. Please Note: Some departures start with a flight from Punta Arenas to either King George Island or Puerto Williams. 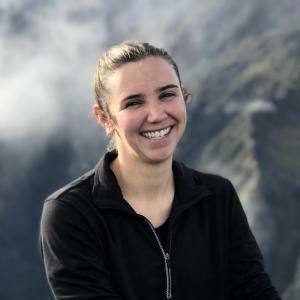 Cross the Drake Passage, accompanied by albatross, petrels, fulmars, and prions. 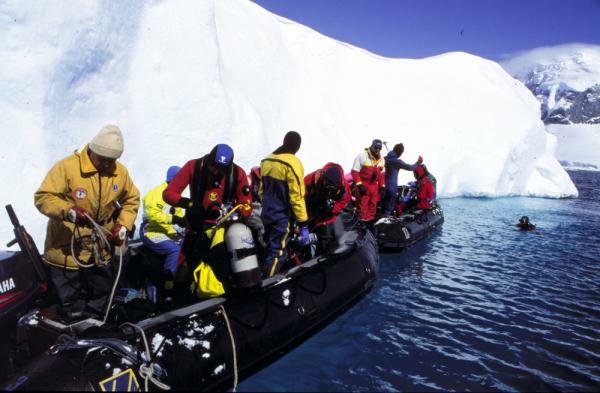 Polar experts speak about Antarctica’s unique wildlife and history and prepare you for landings with environmental and Zodiac briefings. All eyes are peeled for first iceberg, first penguin and first glimpse of land, the mercurial sea stacks outlying the South Shetland Islands. If conditions allow, you may have a chance to go ashore by late afternoon on Day 3. 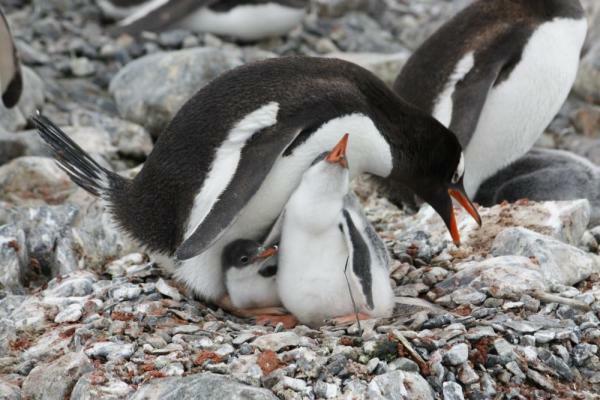 Explore the Peninsula’s west coast, with time to watch the frenzied activities of penguin parents and chicks as the summer days begin to shorten. Watch for imperial cormorant chicks bravely making their first flights from sea cliffs. 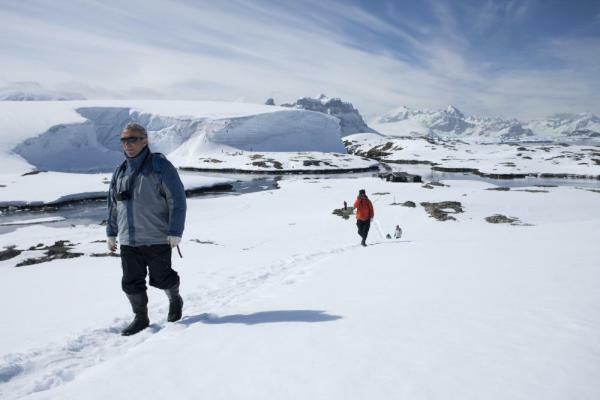 Zodiac cruise amongst icebergs and floes replete with basking Weddell and leopard seals and revel in the unparalleled beauty of vast Antarctic landscapes. Besides landing on wildlife-rich offshore islands, make a continental landing, possibly hiking up for spectacular views. As you continue south, ice conditions govern the ship's movements. Whether you cross the Circle via the ‘inner route’ or the Bellingshausen Sea, you celebrate in style. With luck reach magnificent Crystal Sound, pass through the Gullet, and steam on to Marguerite Bay, where relatively few have gone before. Orcas, humpbacks, and minkes feed in the channels. You may visit historical Stonington, Pourquoi Pas, and Detaille islands before turning north to warmer climes. Arrive at mountainous King George Island. 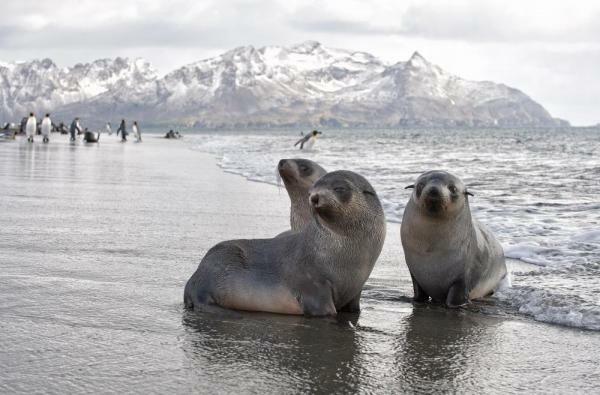 If time and weather permit explore penguin and seal-rich waters of Fildes Bay and visit the surprising Trinity Church at Bellingshausen Station, before catching your included charter flight back to Punta Arenas in Chile. Upon arrival in Punta Arenas transfer to your hotel, where tonight’s accommodation is included. Enjoy breakfast with your fellow expeditioners in the hotel before saying your farewells and continuing with your own arrangements. 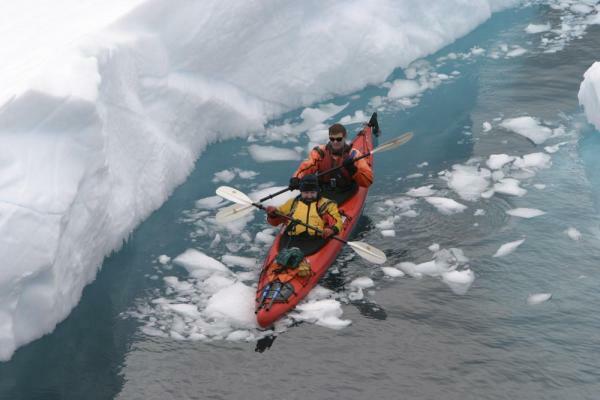 The Polar Pioneer offers a wide range of polar adventures on its departures including SCUBA diving, sea kayaking, camping, and rock and ice climbing. The Polar Pioneer also offers a very unique opportunity to follow Ernest Shackleton's footsteps & a specialized photography tour in Antarctica. Hostal Terra Sur is located in Punta Arenas City the capital of the Region of Magallanes and the Chilean Antarctic. Enjoy the comfort of home in this hostel, as you venture on for your Patagonian adventures. If you are traveling to Punta Arenas as a tourist or on business, Hotel Plaza will do everything to make your stay enjoyable. They guarantee comfort in a pleasant and friendly atmosphere. In front of the Plaza de Armas in the heart of the commercial and financial center, the hotel is open all year round willing to offer you the best services on your Patagonia tour. The distinguished architecture of Hotel Cabo de Hornos makes it a noble presence - a home away from home which will leave you with unforgettable memories of an unimaginable trip through Chile. The hotel has witnessed over 40 years of development in Punta Arenas. Hotel Cabo de Hornos has been equipped with state-of-the-art communications facilities for your next adventure in Chile. Triple Cabins have two lower and one upper berth, a desk, a small washbasin, storage and hanging space and portholes. Showers and toilets are very close by and are shared with other Main Deck cabins. Twin Shared Cabins have two lower bunks, a desk, small washbasin, ample storage and hanging space and portholes. Showers and toilets are very close by and are shared with other Main Deck cabins. Twin Private Cabins have two lower bunks, a desk, windows, and a private bathroom with shower, toilet and washbasin. Two cabins have upper and lower bunks (cabins 402 and 403). Mini Suites have a separate small bedroom with double bed, a sofa bed in the main room, a desk, video player and TV, windows and a private bathroom with shower, toilet and washbasin. The Suite features a large lounge area, a separate small bedroom with double bed, a sofabed in the main room, a video player and TV, refrigerator, large forward and side facing windows, and a private bathroom with shower, toilet and washbasin. Please note that all of Polar Pioneer itineraries are at the mercy of weather conditions and not all landings are guaranteed. These itineraries are flexible and will change voyage to voyage, allowing the best chance to make the most of surprising wildlife displays and unexpected opportunities. - Rates represent costs per person, double or triple occupancy. Request the Twin or Triple Share Program where you are matched with a cabin mate of the same gender. Even if a cabin mate is not found for you, no single supplement will be charged. • All items of a personal nature including but not limited to: alcoholic beverages and soft drinks, laundry services, personal clothing, medical expenses, gratuities, and email or phone charges. Initial deposit is $2700, and most travelers will call our office and pay the deposit with a credit card. Alternatively, you can register online here. Final payment is due 100 days prior to departure by Bank transfer, check or credit card. All final payments by credit card may be subject to a surcharge and maximum of $20,000 charge. I could not be happier with my Adventure Life experience, from beginning to end. I travel a lot, and I think your company and personnel do an outstanding job. I truly appreciate your professionalism, attentiveness, and flexibility. I wouldn't hesitate to recommend your company and would be happy to serve as a reference.